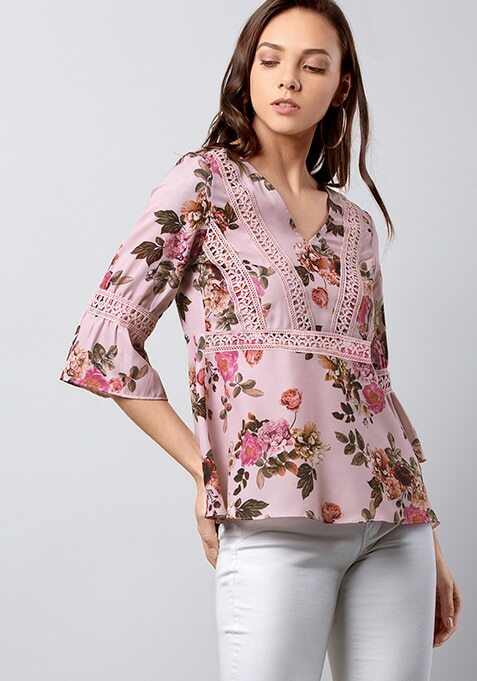 Finish off your summer look with some florals this this season, like this beautiful pink top. Featuring crochet trim details and three quarter sleeves. Work It: Team it with some light wash denims for an effortless yet killer combo.